Straight line or S curve acceleration and deceleration mode. DC brake frequency: 0.00Hz to maximum frequency. 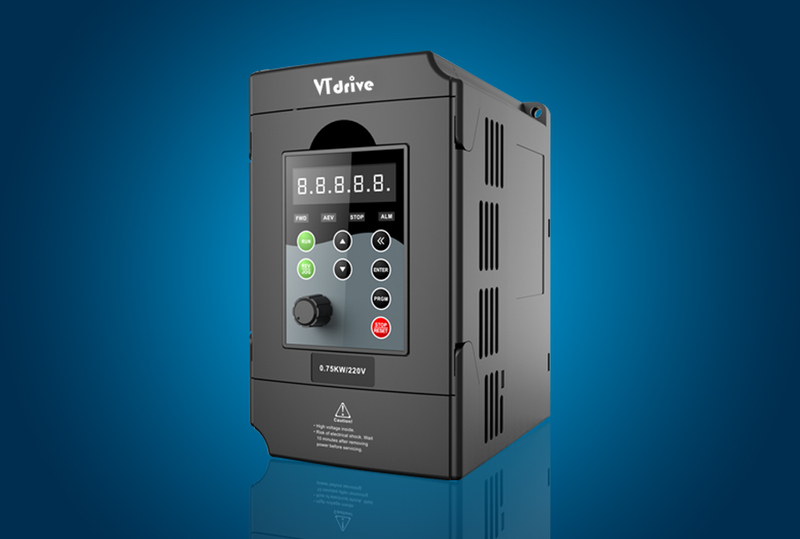 Brake time: 0.0s to 36.0s, and brake current value: 0.0% to 100.0%. Jog frequency range: 0.00Hz~50.00Hz. Jog acceleration/deceleration time 0.0s~6500.0s. 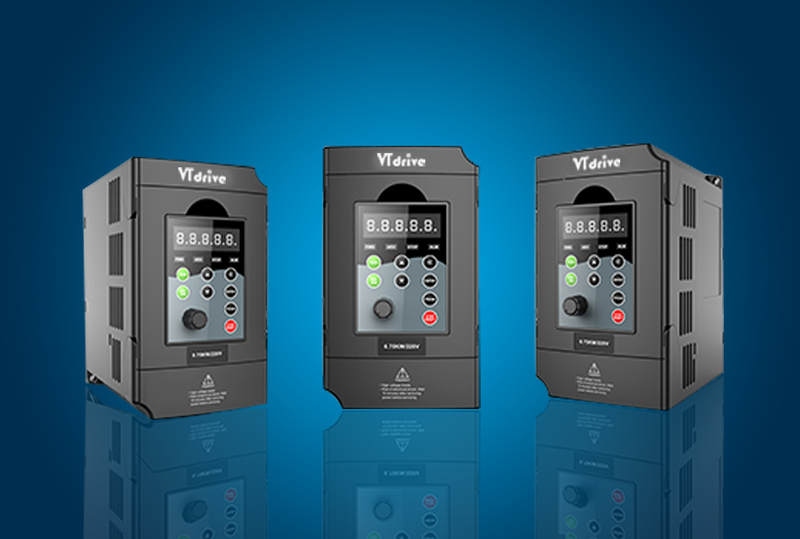 It can realize at maximum of 16 segments speed running via the built-in PLC or control terminal. It can keep constant output voltage automatically in the case of change of network voltage. "Excavators" characteristics, automatically limit torque during operation, prevent frequent over-current tripping. Closed loop vector mode can realize the torque control. When instantaneous power off, voltage reduction is compensated through load feedback energy, which could make inverter keep running in a short period of time. To avoid inverter frequent over-current fault. 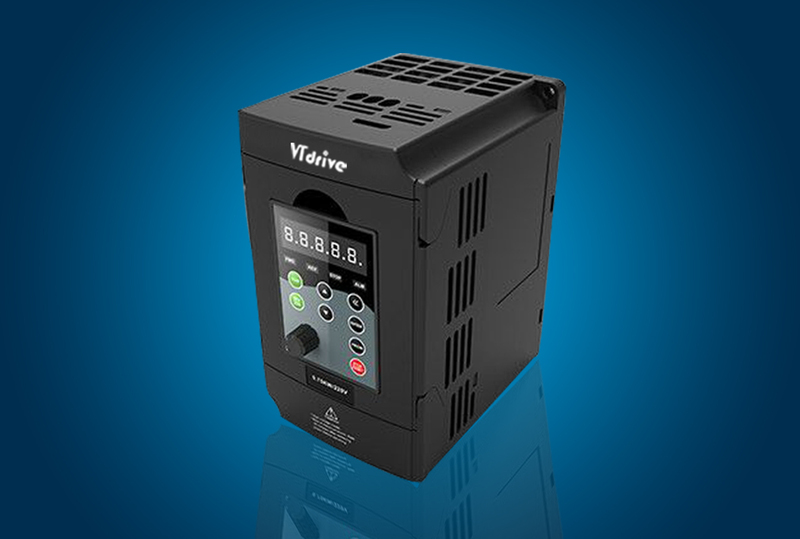 Support difference, open collector, UVW, rotary transformer, sine cosine encoder etc. Select optional user programmable card, which can realize secondary development. 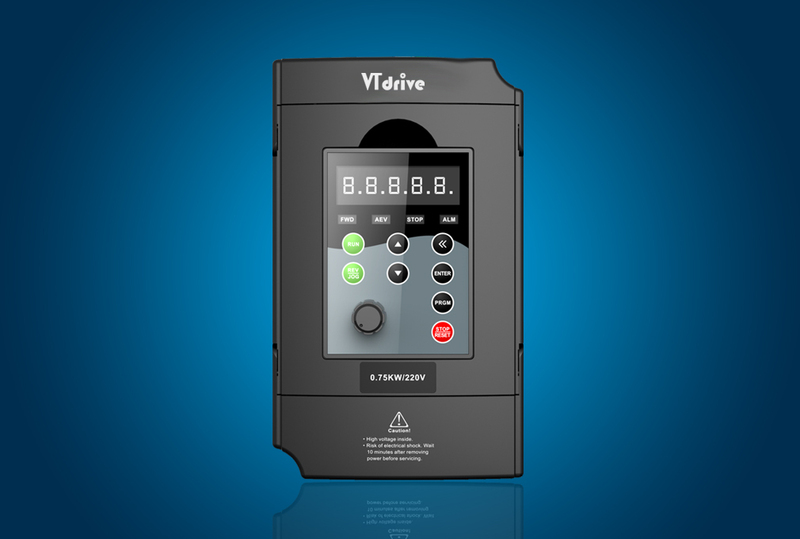 Programming mode is compatible with VTDRIVE TECHNOLOGY LIMITED PLC. Support inverter parameter operation and virtual oscilloscope function. Inverter internal state graphic monitor can be realized through virtual oscilloscope. 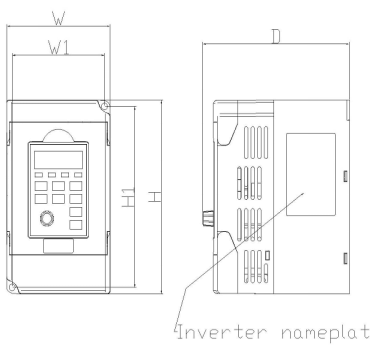 Three types of channels: operation panel reference, control terminal reference and serial communication port reference. These channels can be switched in various modes. There are totally eleven types of frequency sources, such as digital reference, analog voltage reference , analog current reference, pulse reference , MS speed, PLC, PID and serial port reference. 6 digital input terminals, DI5 can be used as 100kHz high-speed input pulse. 3 analog input terminals which can be used as 0-10V voltage input or 0~20mA current input. 1 analog output terminal, support 0~20mA output current or 0~10V output voltage. 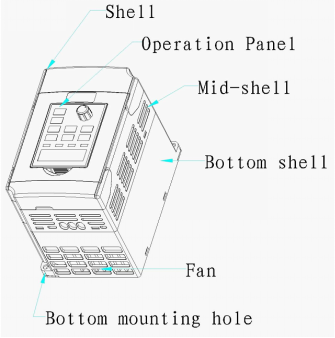 Realize button locking, define operation range for part of buttons to prevent operation fault. 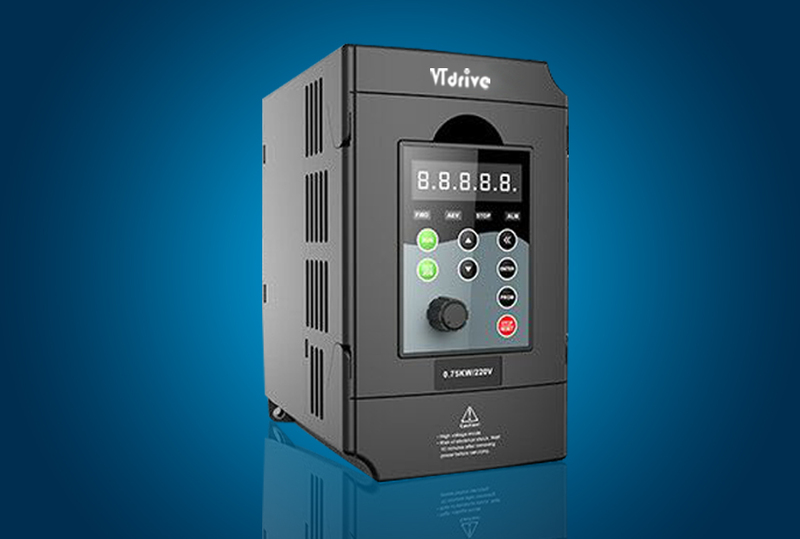 It can implement power-on motor short-circuit detection, input / output phase loss protection, over current protection, over voltage protection, under voltage protection, overheating protection and overload protection. OLED operation panel, brake component, multi-function extended card 1.IO extended card 2.user programmable card, RS485 communication card, Profibus-DP communication card, CANlink communication card, CANopen communication card, differential input PG card, UVW differential input PG card, rotating inverter PG card, OC input PG card. Indoor, and be free from direct sunlight, dust, corrosive gas, combustible gas, oil smoke, vapor, drip or salt.